It’s here at last! The long-awaited release day for the second Shara Summers novel, DEAD COOL. And I’m celebrating with an online launch party on Facebook later today. It will be starting around 6:30pm Greenwich Mean Time – when I get home from the day job, basically. If you go to the FB event, it is clever enough to tell you what time it will start in your time zone. There will be prizes on offer, and chat. 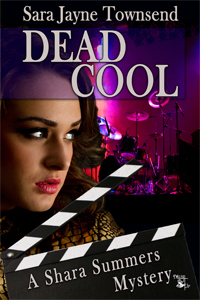 I will get the ball rolling here by offering one free copy of DEAD COOL, in whichever e-book format you prefer. Comment on this post to be in with a chance of winning. If you put a comment on the Facebook event page today as well, you’ll get to go in the draw twice! The draw will be made at noon tomorrow. If you don’t want to wait that long for your copy, you can buy it in all e-book formats direct from MuseItUp. For Kindle owners, the UK link is here and the US link here. And if you’ve got a Kobo or a Nook, I’m even giving you the links to buy it there, too. 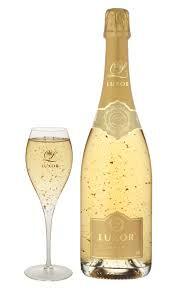 Until I get home from work, the celebrations will be limited to a little virtual champagne. But do stop by the online party later, for some more serious celebrations. It’s October already. Tthis month is mostly known as being Hallowe’en season. And for me it’s also the month of my birth. I was born a week before Hallowe’en – fairly appropriate for a horror writer. And it’s time for another update, so here is the news for this month. Death Scene is available at a 60% discount until the end of the month, as part of MuseItUp Publishing’s fourth anniversary celebrations. If you haven’t bought it yet, now might be a good time, before the price goes up. Dead Cool is released on 25 November, but it can be pre-ordered if you want to get your order in now. Two guest appearances this month. I was on Jami Gray’s blog talking about the importance of a sense of place, and then on Margaret Fieland’s blog talking about why my characters never get ‘Happy Ever After’ endings. I have been feeling decidedly under the weather for a good part of this month, struck with the lingering virus that seems to be hitting rather a lot of people at the moment. I end up feeling tired all the time, so getting up early to write has been rather difficult. I’m still working on the horror WIP, though have not made as much progress as I would have liked. Time seems to be flashing by, and I haven’t done nearly enough writing. But there’s still a bit of time left before the end of the year. I am happy to be able to reveal the cover for the forthcoming Shara Summers mystery DEAD COOL, once more designed by the talented Charlotte Volnek. Unlike DEATH SCENE, which was a re-release, DEAD COOL is a brand new title and the cover was previously uncharted territory. Trying to imagine what should be on the cover of a new book is always a challenge. You want something eye-catching, which will attract readers, and which will give a hint of what the story is about. I liked some of the features Charlie came up with for the DEATH SCENE cover and wanted some of the same things on this one – the clapperboard with ‘Shara Summers mystery’ on, and the same font for the title, for instance. I wasn’t initially happy with the first cover model. I was rather hoping for the same model as on the DEATH SCENE cover, in a different pose, but apparently that’s not always possible with stock images. So on this cover Shara looks different than she does on the first cover. I am trying not to fixate too much on this. It’s sort of like changing actresses for the same character in a soap. But that always bugged me, too. Anyway, despite that it is a cool image. Shara has an appropriately ‘rock chick’ look in this, and I like the purple-tinted empty drum kit and microphone in the background, looking stark and sinister under the single spot. DEAD COOL is scheduled for release by MuseItUp Publishing in mid-October. Woo hoo! As we settle into 2014 I’ve been rather busy with promotional stuff, so I thought it was appropriate for a general update on what I’ve been up to of late. Firstly, a round-up of guest appearances on the Internet for 2014. At the end of January, I featured on Chris Weigand’s Palace of Twelve Pillars blog, talking about how I was inspired to create my amateur sleuth Shara Summers. Earlier this month I visited Janie Franz’s blog Anasazi Dreams, talking about ambition and discipline being the tools of a writer. And most recently I’ve visited Helena Fairfax’s blog, where we’ve been reminiscing about childhood holidays in Blackpool. All of this is an endeavour to drum up interest in the Shara Summers series, as the first two books are being released by MuseItUp this year. The first, DEATH SCENE, is a re-release. The previous version is no longer available, but the re-release will be out in the summer. If you haven’t been introduced to Shara yet, this is the one to start with. And if you’ve already read DEATH SCENE, a new publisher means new round of edits, so this version will be slightly different than the first. If you enjoy meeting Shara in the first book, the second book in the series, DEAD COOL, will be released in Autumn so you won’t have to wait too long to catch up with her again. Thus far, I don’t have definitive release dates or covers for either book. But you’ll be the first to know when I do, so watch this space. In the meantime, if you want a sneak peek, there’s a blurb about each on the ‘Coming Soon’ page on my website. And finally, if your tastes run to darker fiction, I’ve got some back listed horror titles that might be to your liking. SUFFER THE CHILDREN – available on the Kindle (US and UK) – is a supernatural horror novel with its roots based in mythology. 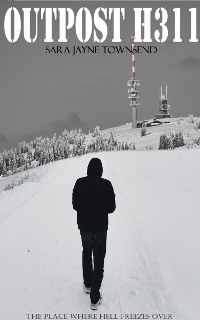 And SOUL SCREAMS – available in print and ebook – is a collection of short horror stories about “that inner scream no one can hear but you”. It’s recently received some rather positive reviews on Goodreads, and if creepy stories are your thing, it might be right up your alley. All this is why I’ve not had much time for the blog recently. But of course that’s a poor excuse, and I hope that from now on I can improve on this year’s track record. If you’ve recently discovered this blog, I bid you welcome and I hope you’ll stick around for a while. If you’ve been following from the beginning, I’d like to say thank you for bearing with me – your support means a lot. It’s going to be a busy year for me, writing-wise, and I hope you’ll join me for the ride. When I started shopping DEAD COOL to publishers, I made mention of the fact that it was the second book in a series and that the first, though published, was due to have rights revert back to me fairly soon. This was entirely true, but I had no idea whether or not the information would help. I didn’t think, at the time, that any publisher would be interested in taking on a book that was effectively a back list title. In fact I’d already started thinking about possibly self-publishing DEATH SCENE when the rights came back. What else was I going to do with it? And then when MuseItUp Publishing took on DEAD COOL they also expressed interest in the first book in the series when the rights became available. And so it is that DEATH SCENE, though not currently available, will be released by MuseItUp later this year. Before DEAD COOL, as it happens. DEATH SCENE is to be released Spring/Summer (which I gather can mean any time between March and August), with DEAD COOL scheduled for release in Autumn (September-November). Once I have a better idea of dates, I will of course publicise this. The irony in all this is that the when I was shopping DEAD COOL around to publishers, at the same time as my horror novel, the amateur sleuth novel was the one I was least confident about. And yet, in the end, not only did I get a request for a full manuscript from every single publisher I sent the first three chapters to, in the end it got picked up first. Thus proving that sometimes writers get far too close to their own work to be able to offer a balanced viewpoint. So the Shara Summers books are now officially a series. And with books 1 and 2 having a home together, I’m seriously thinking about writing book 3. Up to now Shara’s been largely ignored. Let’s hope that with her first two adventures being released into the wide world this year, she’ll finally start to make an impact. I think there’s life in the old girl yet.